This information came from SAMA (the South Atlantic Medal Association), which represents and helps Falklands veterans. Their figures maintained that, at the time, 264 veterans had taken their own lives. This contrasts with the 255 who died on active service. This discrepancy was echoed in Broken in Battle, a recent Panorama programme on BBC TV which opened with the statistic that, in 2012, more British soldiers and veterans took their own lives than were killed by the Taliban. 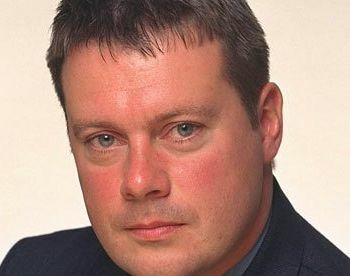 Presenter Toby Harnden (right), who reported on the conflict in Afghanistan, accused the MoD of obscuring the true scale of military suicides. In response to the programme’s FOI (Freedom of Information) request, the MoD replied that in 2012, 7 serving soldiers were confirmed to have killed themselves, while a further 14 died in suspected suicides but inquests had yet to be held. 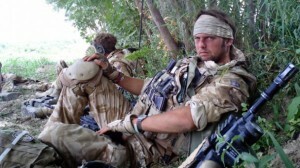 An investigation by the BBC’s Panorama, however, revealed that 21 serving soldiers and 29 veterans took their lives in 2012. The 50 suicides exceeds the 40 soldiers who died fighting the Taliban in Afghanistan during the same period. The difference between the two figures can be explained by the fact that, unlike their American counterparts, the MoD do not track veterans. This would, of course, bring into doubt the government’s Falklands statistics. The MoD also claimed that only 2.9% of British troops suffer from PTSD (Post Traumatic Stress Disorder), a figure which, surprisingly, is lower than the rate of the general population. 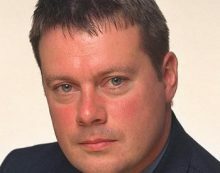 In the Panorama programme, families of young men who had taken their own lives all told similar stories of depression, PTSD and suicidal tendencies being treated inadequately by the army, and of soldiers being reluctant to admit how they were really feeling because they had been trained not to show weakness. Lance Sgt Dan Collins (left) of the Welsh Guards became the first suicide statistic of 2012, and was the first to be featured in the programme. After a six-month tour during which 81 British soldiers were killed, the Welsh Guards returned home. Dan’s girlfriend Vicky Roach (right, with Dan) knew that something was wrong. The army diagnosed Dan with Post Traumatic Stress Disorder. But he had to drive three hours to an army base to see a psychiatric nurse. After 10 months of intermittent treatment, the army told Dan that he’d recovered and would soon be ready to return to duty. He tried to kill himself twice over the next few months. Following an overdose of antidepressants, Dan was admitted to a psychiatric ward. As the army no longer has residential units for soldiers with PTSD, he had to be cared for in an NHS ward. After five weeks in the NHS ward, Dan was released and moved back in with Vicky. His flashbacks began to get worse and he started missing his weekly NHS appointments. On New Year’s Eve 2011, Dan left Vicky, put on his army uniform and the bandana he’d worn in Afghanistan, and drove into the Preseli Mountains. He recorded a farewell video to his mother and hanged himself. 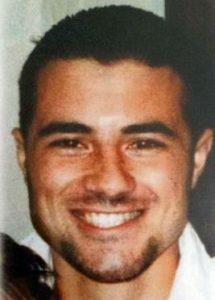 More than a year after Dan Collins died, there has still been no inquest. 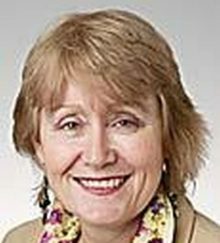 The inquest could not take place until the MoD finished its internal investigation, which it delivered only recently to the coroner. What concerns me, however, is the nature of the treatment that is meted out to PTSD victims. 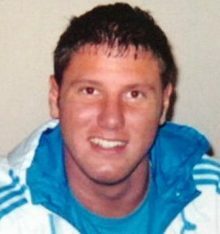 The regime of antidepressants and Diazepam that Dan Collins had to suffer clearly did more harm than good. 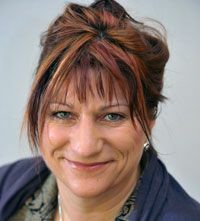 However, many GPs and psychiatrists still prescribe antidepressants for reactive depression, often with tragic consequences. 24-year-old Daron Davies (right) from North Wales was one of the 50 soldiers listed in the Panorama programme. Like Dan Collins, he had been in the Welsh Guards. Like Dan, he was being treated with antidepressants. And like Dan, he hanged himself. 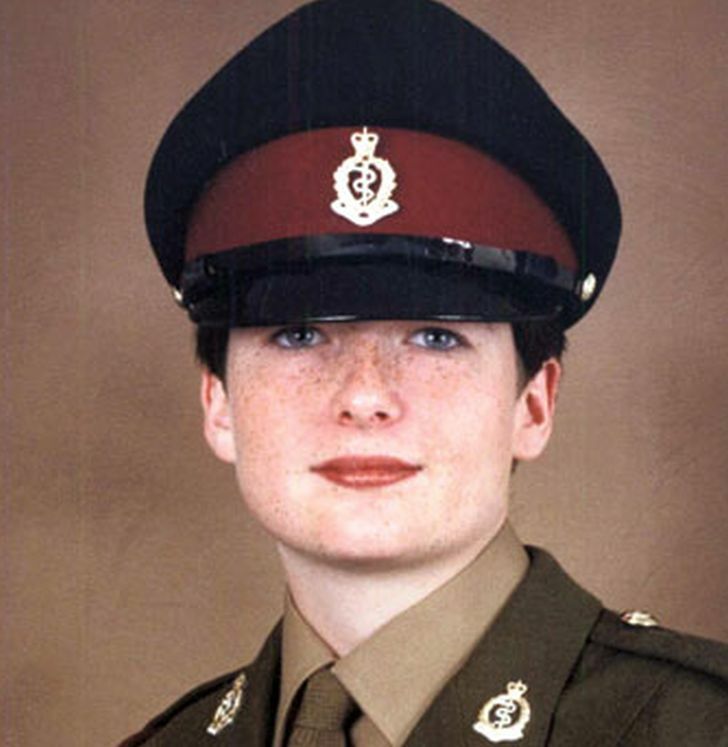 Speaking soon after his death, his mother Bethan said Daron had served five years in the 1st Battalion Welsh Guards. He had been awarded the Guardsmen’s Shield in 2009, given to the best Guardsman in a company. Private Gary Boswell (left) from the Royal Welch Fusiliers, 20, hanged himself in his home town of Milford Haven while on leave from Iraq. He had been prescribed antidepressants by a local doctor. She added that all service personnel returning from Iraq spend one week among colleagues in the UK where they are scrutinised for signs of PTSD, that family members are given leaflets on how to spot signs of PTSD and that there are also post-deployment briefings on how to deal with friends and family. David was treated in hospital with medication, until 2 months before his death, when he was discharged and moved into a flat. Both family and health care workers said his condition appeared to have improved, so much so that his medication was changed. His psychiatrist said: “David appeared to be quite composed, relaxed, and without any sign of severe effective disorder. Clinically he looked reasonably well.” The coroner recorded a verdict that he killed himself while the balance of his mind was disturbed. 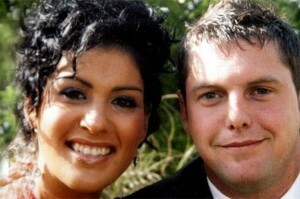 In April 2009, 29-year-old Chanice Ward (right) of Norfolk took an overdose of antidepressants and painkillers. Before her funeral, Chanice’s father told how his daughter had suffered from PTSD from her time in the army and he believes this may have led her to take her own life. 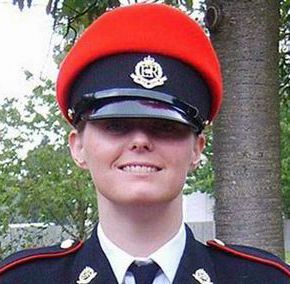 Chanice had been discharged from the army against her wishes and was pursuing a case for compensation with the Service Personnel and Veterans Agency when she died. She had already spoken about the horrific experiences she witnessed in Bosnia and Kosovo that left her suffering from PTSD. Thus far, each case than I have mentioned deals with PTSD emanating from combat stress. However, in the case of Anne-Marie Ellement (left), a 30-year-old military police officer, she was allegedly raped by 2 male colleagues while stationed in Germany. 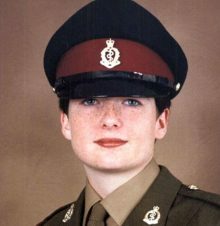 Her sister said at her funeral: “I do know Anne-Marie never recovered from being raped … The Royal Military Police have failed in their duty of care … I expect the people responsible to be held to account.” Anne-Marie was taking antidepressants at the time when she hanged herself. The coroner gave a verdict of suicide but, since that time, a judicial review has taken place and a new inquest will open early next year. The common factor of all the cases I have featured is the involvement of antidepressant medication. What is unclear, however, is the extent to which members of the armed forces are medicated as a matter of course. There have been stories from earlier conflicts of amphetamines being prescribed to soldiers in combat situations, but I wouldn’t know if that practice has discontinued. Until recently, US forces abroad were routinely treated with the anti-malarial drug Larium, which has been linked to several suicides and homicides. 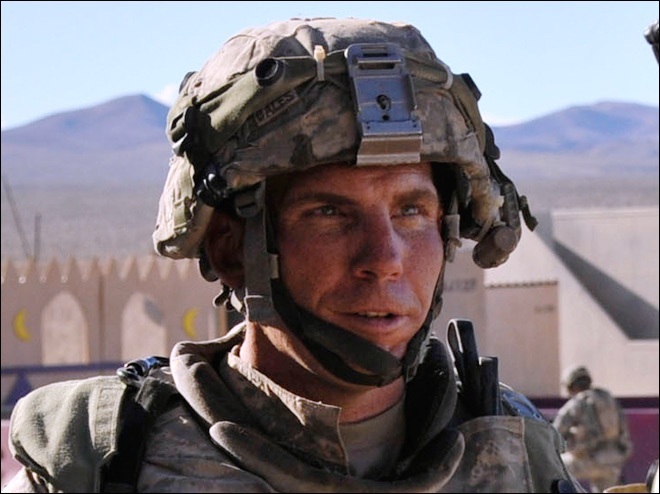 The US army finally stopped the use of Lariam following its link to the massacre of 16 Afghan civilians by Sgt Robert Bales (right), in March 2012. The victims included 3 men, 4 women and 9 children. The Irish Army, however, which carries out duties in Africa on behalf of the UN, continues to use Lariam. Last week a programme on Irish TV, similar to Panorama, investigated the Lariam-induced suicides of Irish soldiers. There must be real concerns about the risks involved in indiscriminate prescription of mind-altering drugs. Particularly since they will be administered, for the most part, to young men. It is deemed that the brain continues to develop well into the 20s, maybe even up to 30 years of age. Currently, in the USA, the FDA advises caution in prescribing antidepressants to those under 25. There is every likelihood that those entering military service, and suffering the aftermath of PTSD, will be in this vulnerable age bracket. Using psychiatric medication on young people has to be approached with care, consistency and as much information as possible. If you add frontline military service to the equation, you are creating a ticking time bomb in terms of people who will come to need effective assistance in recovering from traumatic experiences and exposure to mind-changing medication. The National Memorial Arboretum in Staffordshire (below) honours the military casualties of every conflict since World War 2. The names of soldiers who killed themselves in Afghanistan are engraved on the wall but those who took their own lives after returning home are not mentioned.